Reinitializing RoboCell after closing down LearnMate the first time. 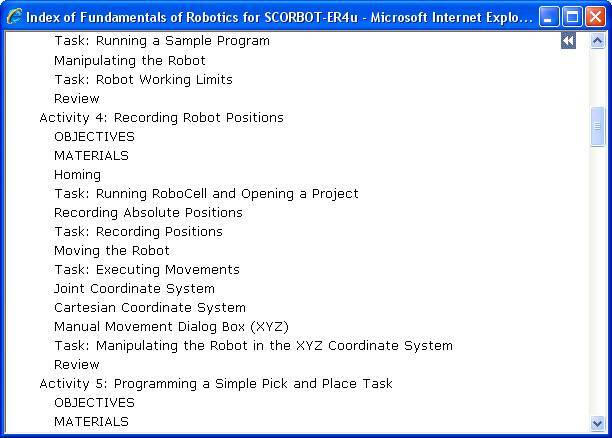 When you begin working with the fundamentals of robotics and initialize Robocell and continue to work and then stop working and leave Learnmate you will have to reinitialize Robocell again by using the following procedure. Learnmate will return you to where you left off in you last session in the module, but will not initialize Robocell automatically. 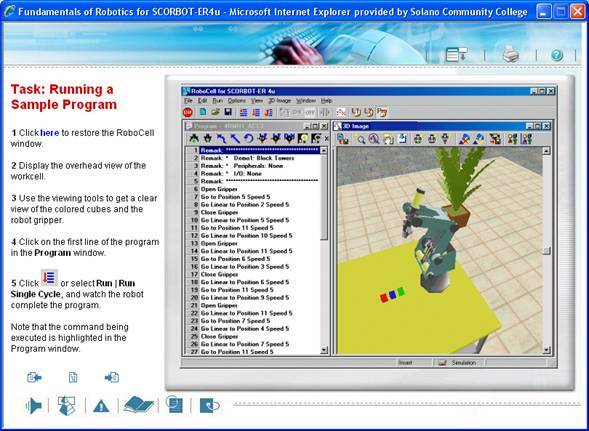 In this sample the student has been returned to the task of running a sample program where in step 1 it says click here to restore the Robocell window. This will not work until you do the following to reinitialize Robocell. Click the index icon located between the previous and next icons. Note: where you are in the index which is indicated by the double left facing arrow head on the right side of the screen, You will want to return to here after initializing Robocell. 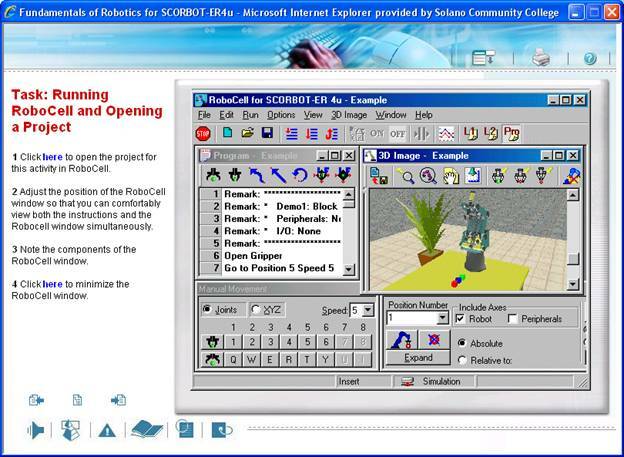 Next using the scroll bar on the right scroll up to the task running Robocell and opening a project: see below. Click on step 1 – click here to open the project: Which will open RoboCell. Next Minimize RoboCell so that you will return to the module window. Click on the index and go to where you left off and click on that task. In this sample I would go back to the task running a sample program and continue.